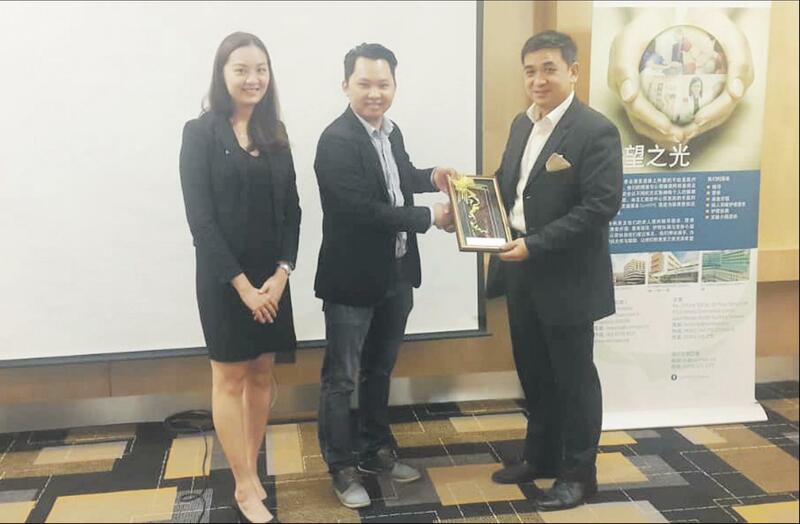 PRESENTATION of appreciation to Dr Stephen after his conference at Imperial Hotel, Kuching. to only see one hole! 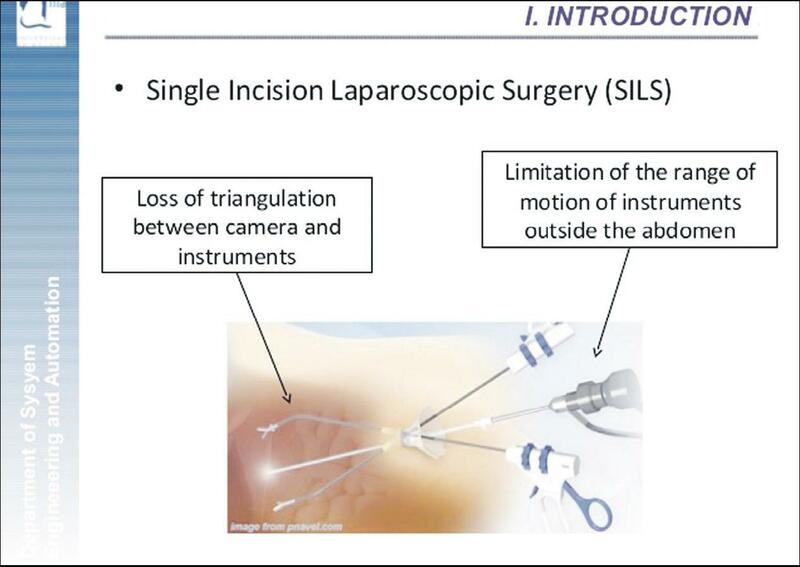 AN simple explanation of single incision laparoscopic surgery (SILS). MEETING up with Dr Stephen Chang Kin Yong for an interview was a great honour as the Singaporean general surgeon practitioner pioneered the single incision laparoscopic surgery (SILS) in 2008. 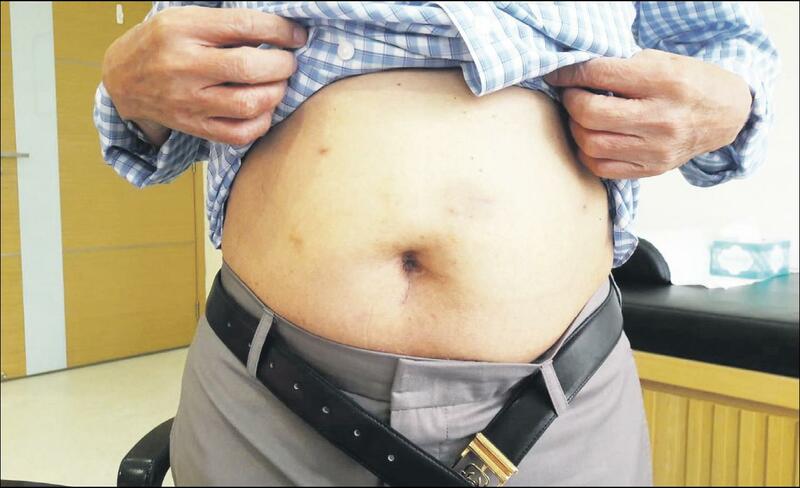 He was one of the first few in the world to publish his experience in single incision laparoscopic gallbladder surgery, liver resection and pancreas resection. 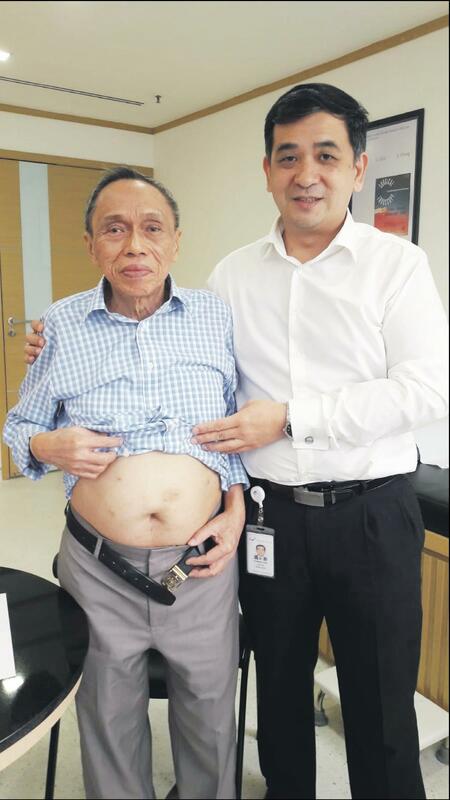 Apart from that, he is also the key developer of the laparoscopic approach to hepatobiliary and pancreatic surgery and has been active in developing the living donor liver transplant (LDLT) programme at Mount Elizabeth Hospital, Singapore. Sharing his perspective of liver cancer, Dr Stephen shared his experience, and insights pertaining to using the SILS technique in curing liver cancer patients. Hepatitis B – a silent liver killer Dr Stephen’s experience with the brothers did not stop there. Years after, the brothers brought an older brother to see him. This older brother did not know he had Hepatitis B and only came to see him when he developed symptoms. Unfortunately the liver tumour was at its last stage, “It was incurable, and within one month, he passed away,” the doctor said sorrowfully. He then disclosed that if a person is found to have hepatitis B, the individual must undergo liver screening every six months. His or her immediate family must also screen for hepatitis B. The same goes for those who have done liver tumour surgery, “Even after liver surgery, the patient must be followed up closely too because there is still Hepatitis B virus living inside the rest of the liver and can therefore cause new tumors to form.” The Hepatitis B virus lurks within the liver and according to Dr Stephen, it is common amongst Asian, ergo we being part of the Asian continent that have the highest number of liver cancer patients in the world. Apart from Hepatitis B, as shared by Dr Stephen, the next liver killer in the world is fatty liver caused by fat accumulation on the liver and partly due to lack of exercise. “The fat will swell the liver up and cause inflammation. This increases the risk of liver cancer and the problem is getting more common,” the concerned doctor mentioned. Single-incision laparoscopic surgery The friendly Dr Stephen shared a piece of liver surgery history stating that few liver surgeries were performed back in the 1960s, “Before that nobody dares to operate on the vascular organ, and even today, there is not enough liver surgeons in the world.” With the advances in technology, along with blessings of innovative ideas, Dr Stephen’s SILS technique is able not only to perform liver surgeries safely, but also to decrease post-operation pain whilst offering better cosmetic results. “Minimally invasive surgery basically involves multiple small incisions instead of the traditional big cut. Thus there is less trauma to the patients’ skin and muscles. And thanks to technological improvements, we can now squeeze all the instruments into one small incision that is only 10 to 15 millimetres long,” Dr Stephen disclosed. Currently, Dr Stephen can finish a simple SILS technique surgery in less than an hour but he revealed that when he first used the technique back in 2008 he was extremely anxious and the first surgery took him more than three hours to complete. He is grateful to God that he could develop the technique that can benefit mankind. He is also grateful to his first patient who was his own staff nurse. He mentioned also that his nurse had seen him performing various operations in the past and had trusted herself to be under his care, “When she woke up and saw one hole only, she was so happy!” Dr Stephen exclaimed. In his early experience he would record his surgeries, and he would watch the video playback many times to improve the technique so as to minimise the patient’s time on the operating table. 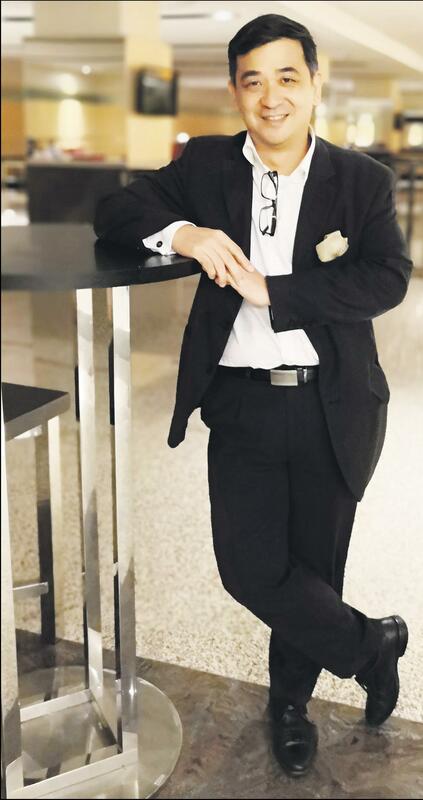 The doctor’s background Dr Stephen Chang is a general surgeon practising at Mount Elizabeth Hospital, Singapore. He is also the medical director of the liver programme at Mount Elizabeth Hospital. He sub-specialises in laparoscopic surgery, management of gallbladder, liver and pancreatic disease, and liver transplantations. Single-incision Laparoscopic Surgery: Less is More 0 out of 5 based on 0 ratings. 0 user reviews.